Heart & Hustle... when it comes to chasing your dreams you can't have one without the other! For so long I just thought about & talked about my ambitions to make it on my own. As I quickly realized that you have to take matters into your own hands and add in the hard work to make it happen. The same goes for the hustle- if your heart isn't in it, even finding success won't make you happy! This has been one of my favorite mantras and words to live by. When work gets crazy you can always come back to these two things to put things back into perspective! 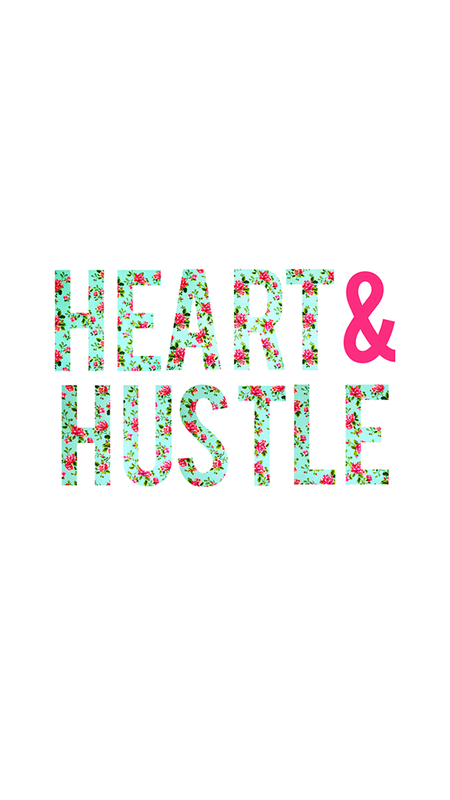 I'm sharing a free "heart & hustle" wallpaper for you if you want to keep it top of mind too! As a happy side note, thank you so much to everyone who participated in this week's #SocialMediaWithStyle Instagram challenge. I've SO enjoyed getting to know you all a bit better and am so inspired by everything you're working on. Be sure to check out the #SocialMediaWithStyle hashtag to see what everyone's been posting!